The DOE/EPRI Electricity Storage Handbook in Collaboration with NRECA is a how-to guide for utility and rural cooperative engineers, planners, and decision makers to plan and implement energy storage projects. It also provides important information for regulators, policymakers, investors, energy storage developers, and the general public with information to facilitate understanding and communication of energy storage technologies and applications. First published in 2003, with a significant overhaul in 2013, this guide has served as an important public and industry reference document for approximately 15 years. However, due to significant commercial activity and technological and manufacturing advancements since 2013, the quantitative information about energy storage costs, deployments, and valuation are out-of-date and evolving continuously. This information is best captured in evolving, rather than static, resources. To facilitate user access to the latest energy storage cost, deployment, and value information and tools, a number of additional resources have been added to the website to support a resource toolbox for users of the Handbook. 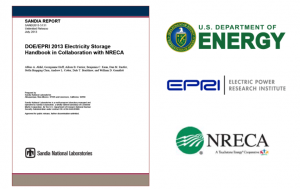 These resources include references for thermal storage, energy storage procurement, energy storage costs, and several other resources and tools developed by the Energy Storage Integration Council (ESIC). 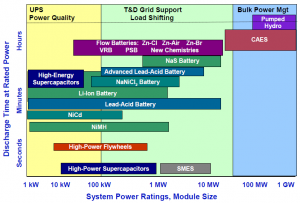 These complementary Handbook resources may be found at the Energy Storage Resources site. 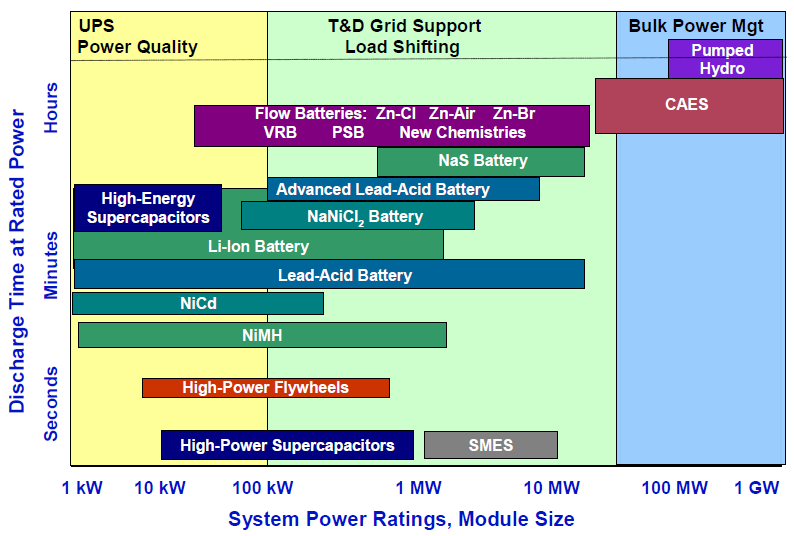 Positioning of Energy Storage Technologies. The Handbook is jointly sponsored by the U.S. Department of Energy and the Electric Power Research Institute in collaboration with the National Rural Electric Cooperative Association.